Calne is a bustling Wiltshire market town which lies on the River Marden at the edge of the North Wessex Downs (an Area of Outstanding Natural Beauty). Once a prosperous woollen centre, wealthy clothiers built mills in Calne creating fine houses that can still be seen around The Green. The town retains many buildings of historical interest including St Mary’s, a beautiful example of a 12th century Parish church. Other areas of interest include, Doctor’s Pond, the place where experiments conducted by Joseph Priestley reputedly led to the discovery of oxygen in 1774. 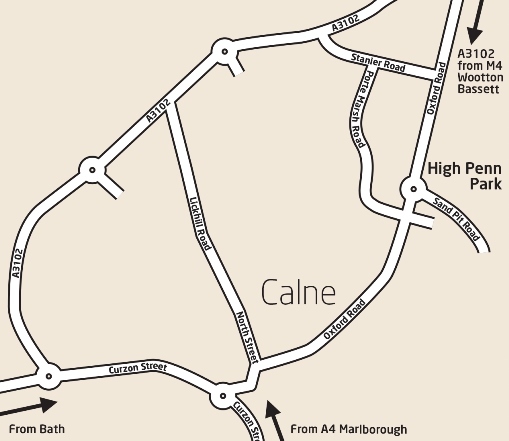 Modern day Calne benefits from enviable sport and leisure facilities plus a number of nature trails, cycle routes and riverside walks including Castle Park. A weekly market and monthly farmers’ market are complemented with antique stores, independent retailers and more familiar supermarket brands. Just outside the town in Cherhill you will find Wiltshire’s most dramatic White Horse carved on the chalk hillside below an Iron Age hill fort. A short drive away are the UNESCO World Heritage sites of Avebury, Stonehenge, Silbury Hill; the Georgian splendour of Bath and the historic Lacock Abbey and village – the backdrop to many period dramas and feature films including Harry Potter. 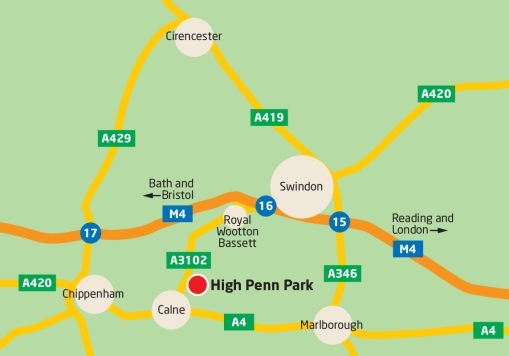 Bristol, Bath and Swindon are within easy commuting distance thanks to the A4 and M4 motorway whilst nearby Chippenham Station provides an excellent mainline rail service for London commuters. 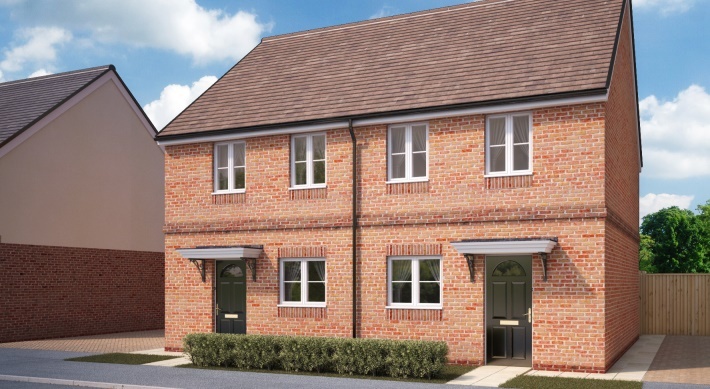 High Penn Park, Oxford Road, Calne, Wiltshire, SN11 8AW. For more information please contact the selling agent Atwell Martin.